Tippy, tippy, tap. Little elven feet exploded on tabletops, whirling and twirling to the rhythm of a tambourine. Weekend dads posed with their kids as reporters clicked cameras. The North Pole was busy this time of year. Mrs. Clause – Goody to her friends - smiled for a quick shot and then excused herself to ‘bake cookies’. Inside the office, Goody kicked off her shoes and slid out of her Spanx. She surveyed the room. Even in this sanctuary toys were stacked ceiling high. She reached for a cookie, thought better of it, and turned away. Even her Spanx needed Spanx. A growling noise caught her attention and she turned to see her husband sleeping in his favorite chair, a concerned wrinkle across his brow. “Poor dear,” she said, covering him and kissing his cheek. With only two weeks till Christmas he had been putting in long hours, and it was beginning to show. Goody sighed, remembering simpler times. Dolls for girls. Trains for boys. Coal for the naughty. Nowadays everyone wanted dolls that peed and trains that moved. And Elves didn’t make batteries. Santa had to outsource that job to China. And kids today…one toy wasn’t enough…they had lists! And now with the population tipping at seven billion… Goody furrowed her brow. She wasn’t good at mat, but she knew there were not enough elves in the Arctic to accommodate that load. “That’s it,” she said, flopping into the computer chair. “I wash my hands of this. Santa’s exhausted and I’m fat. We’re moving to Belize.” Goody flipped on her husband’s computer and fantasized about her new life. 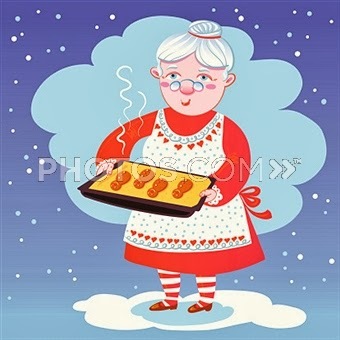 She had spent the last 200 years baking, smiling, and feeding reindeer. Maybe now she could work out, play Bunco, and watch Oprah. She could find her purpose. She was googling ‘things to do in Belize’ when an odd blinking light appeared in the corner of her monitor. Alarmed that she had broken something, she almost roused Santa. Then she noticed it was a message. A magic, coded message! I no u r buzy but can I plz have a doll for xmas. I need some1 to luv me. Goody shook her head as an image of Mary Dryer popped into her memory. A dark-haired beauty with large eyes. A child who wanted just one doll for Christmas. Goody groaned as Google summoned up pictures of a Belizean beach. “Well, darn it,” she said, rolling the chair to the doll shelf across the room. She searched until she found the perfect one: a cuddly darling that didn’t pee. “You will be well loved,” she said, giving the doll a kiss and sending it to the sleigh. Goody watched as 100 linking lights filled the monitor.